I hope everyone is doing great. I am actually typing this post from Edmonton. This is the first of 2 trips up to the province of Alberta, Canada where we also visited the city of Calgary and then we will head over to Vancouver (which is the province of British Columbia). Although it is much colder than Orange County, it is actually not too cold for this time of year here. At HockeySC.com, we have had some good contributions this week. First up is The Mechanistic Connection Between the Trunk, Hip, Knee, and Anterior Cruciate Ligament Injury by Timothy Hewett and Gregory Myer. This is actually a study that was published by the American College of Sports Medicine in its Exercise and Sport Science Reviews. This is an interesting study that discusses how the control of lateral trunk motion is associated with hip abduction muscle recruitment and strength in females. What was also interesting is the mention of the difference between males and females when they’re skeletal growth process is occurring. Research has shown previously that males experience a neuromuscular growth spurt that females don’t. This would indicate that males would have greater neuromuscular control. This would make sense when looking at the whole study. 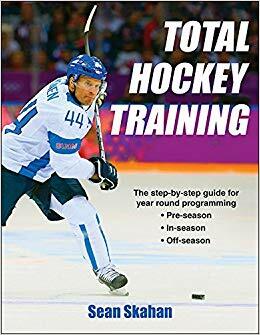 Next up is Mike Potenza’s Muscle Endurance Workout for Goaltenders. This is a good program submitted by Mike. Goalies need to have the endurance to sustain the motions that they do over and over again during the course of a game. They need endurance of the muscles of the legs and hips. With the butterfly style being the most preferred method of current goaltenders, the importance of endurance in the hip abductors and adductors is huge. Next up is my Chin Up video. In this video, I show the difference between the chin up technique that my athletes were doing previously to me learning the RKC/Tactical version. I’ve found that athletes who may have had shoulder issues which prevented them from doing chin ups or pull ups in the past can do this version of the chin up without issues. I also think once you engage your core and lats better; there is less stress on the shoulder joints. I will be blogging about this later on as I have been trying this out on myself. That’s it for the week. I hope everyone has a great weekend. Thanks for your continued support!